Registration for the Wahine Classic is now open. To register online, click here. This year we are using Surf Signup (www.surfsignup.com) for our registration. This company specializes in promoting surfing competitions all over the country and we are excited to partner with them again. The deadline for entries is August 6, 2018. We’re grateful for all of our new and returning sponsors who are helping to support the Wahine Classic and wellness in all of our wahines. If you would like to join our group of sponsors, please contact us. All sponsorship levels can be found on our Sponsors page and you’ll see a list of all of our sponsors with their logos on the homepage of this website. Wrightsville Beach is a beautiful spot and that means it can be very busy during the summer months. All contestants should book their hotel rooms early. We’re creating a list of recommended spots for our website, but it’s still under construction. In the meantime, please check out sites like Trip Advisor for recommendations on hotels. Our event begins on Friday, August 10 with a cookout and packet pick-up. Our competition begins on Saturday, August 11 and ends with our award ceremony on Sunday, August 12. Please see our “Schedule of Events” page for a full listing of the events. Safety is our highest priority at the Wahine Classic. Please take a moment to read the rules for the 2018 Wahine Classic Surfing Competition by clicking here. Great surfing etiquette makes for a great competition. One of the missions of the Wahine Classic is to promote the physical, mental and emotional wellness in women and girls. As an all-female competition, we are passionate about the well-being of our Wahine surfing community. We do believe that surfing, time spent in the ocean and having a supportive ocean-focused community has a positive impact on health and wellness. Let us know how surfing has positively impacted your life by emailing us at jo@wahineclassic.com. You’ll find the Wahine Classic on Facebook, Instagram and Twitter. These channels are updated frequently by Jo Pickett and members of the Wahine Classic staff. Please follow us and get the latest news about entering the competition, classes and results as well as some amazing surfing pictures. We thank Ed Potter for the photos you see on this website. Our hashtag is #WahineClassicWB. Thanks! We welcome the efforts of teens, social groups and other organizations to help raise money for our 2018 beneficiary the Southern North Carolina District (SNC) of the Eastern Surfing Association (ESA). Donations can be sent to the Wahine Classic, c/o Jo Pickett, 4921 Pine Street, Wilmington, NC 28403. We appreciate the grass roots efforts from the members of our Wahine community so very much. The Wahine Classic Surfing Competition in Wrightsville Beach began in the summer of 2013. The event is one of the only all-female surfing competitions on the East Coast and it continues to grow each year, attracting both amateur and pro surfers. Jo Pickett, a legendary surfing instructor with over 20 years of experience and the owner of Crystal South Surf Camp, is the event’s organizer. Jo’s skill at teaching surfing and her love of incorporating yoga for strength and balance, have made her a popular coach and a successful one in competitive surfing. Many of her students have gone on to become surfing instructors themselves. From teaching surf etiquette and ocean safety to coastal ecology and marine life, Jo has helped many surfers develop a vast understanding of the ocean and how to enjoy surfing for pleasure or at the competition level. 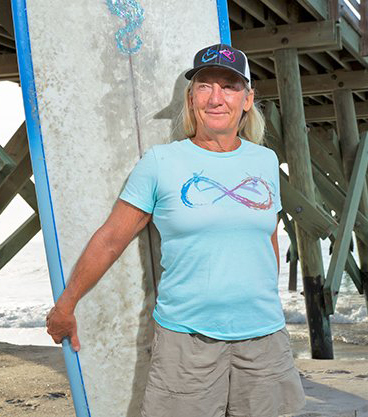 The origins of the Wahine Classic in Wrightsville Beach go back to 1997 when Tammy Zybura Kennedy started the East Coast Wahine Championship (ECWC) in response to a tragedy that occurred in our female surfing community. The ECWC was a success from the start. As the event continued to grow, additional organizers were asked to help including Jo, Anne Beasley Weber, Paula Bushardt, Karen Allison, Lisa Andre and Jack Viorel. 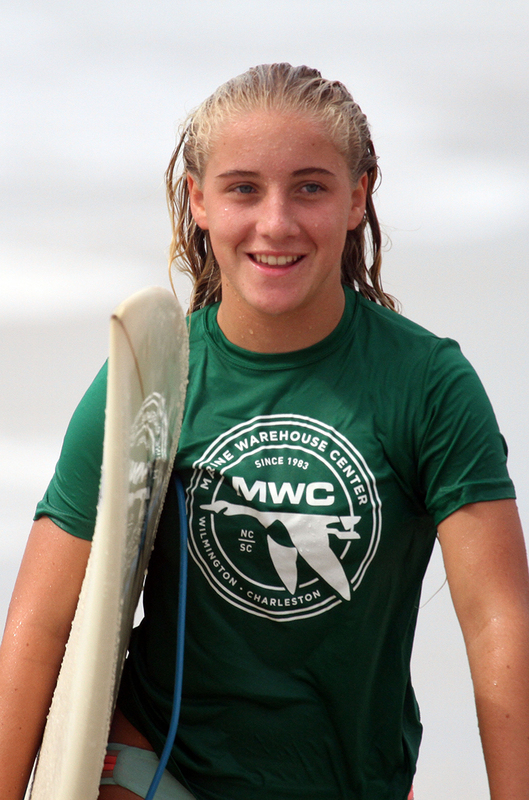 In 2013, our Wahine contest name changed to the Wrightsville Beach Wahine Classic. Affectionately referred to as “the Wahine”, we continue the tradition of providing a fun-filled surfing and beach weekend in August for participants and spectators. Female surfers, young and old, congregate with families and friends to compete and enjoy the surfing vibe that the term Wahine personifies. Crystal South Surf Camp is the oldest and longest established surf camp in Southern North Carolina. Each year Crystal South offers summer camps in Wrightsville Beach, NC and Oak Island, NC. Under Jo’s direction, Crystal South has also become an international surfing program with adventure trips to Costa Rica, El Salvador, Nicaragua and Puerto Rico. To find out more about Crystal South’s programs, please visit their website by clicking here. The mission of the Wahine Classic is promote surfing and wellness in women and girls. Each year, the Wahine Classic raises money and makes a donation to a non-profit organization that promotes wellness for women and girls. Our 2018 recipient is the Southern North Carolina District (SNC) of the Eastern Surfing Association (ESA). Many levels of sponsorship are available. For more information, please see our Sponsorship Page. A list of 2018 sponsors and their logos is available on our home page. We are so thankful for the generosity and support of these companies. If you would like to become a sponsor, please contact us at jo@wahineclassic.com. The mission of Wahine Classic is to empower girls of all ages, build their self-confidence and self-esteem, and to promote physical, mental, and emotional wellness,” said Pickett. “While having a fun weekend of learning, teaching, and friendly competition, the girls and ladies develop mutual trust and lasting friendships. We believe that time spent in the ocean has a positive impact on our lives.